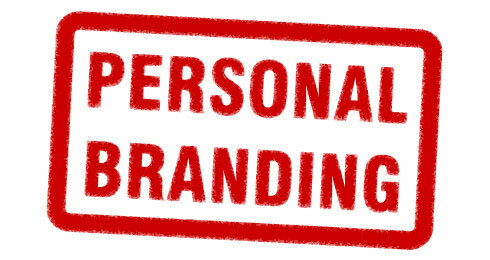 Over the past six months I have noticed the phrase “personal brand” popping up more frequently than ever before. Usually, the phrase is used in the context of a complaint about someone’s social media approach. Personal brand is a politically correct way of saying “self-promotion.” And it is particularly challenging with spokespersons and thought leaders that are amongst the most active on social media channels in companies. Which social media accounts should be put in an employee’s email signature? Should individuals list their own Twitter account, Blog site, LinkedIn profile? Or should they be pointing people to the corporate accounts? Or both? When a thought leader develops a new piece of content should they be the first to push the link out on Google+, Facebook and Twitter? Or should the corporate account get first mover advantage? When a spokesperson delivers a presentation at an industry conference who should post the accompanying content online? Should the speaker publish their deck to SlideShare and the video to YouTube? Or should the content be published under the corporate accounts? These are challenging issues, because there is no clear answer. Your target audience varies considerably. Some will want to hear directly from the companies they do business with. They will follow corporate accounts on Twitter, Facebook and YouTube. Others will dismiss corporate accounts on social media as pure advertising and marketing fluff. But these anti-corporate types are often willing to follow an individual person on Twitter, Facebook and YouTube if they have interesting content. The best people to write content are your subject matters and opinion leaders in areas such as product management, industry marketing, software engineers and executive leadership. However, these are likely to be some of the busiest people in the company. To convince this overworked crew to invest time in social media will require offering them a strong incentive. You are not going to pay them more so what can you offer? The ability to build a personal brand is usually one of the most enticing incentives you can offer. Inevitably thought leaders will eventually leave the company. And when they go all the followers they have accumulated on their personal social media accounts will follow them. Understandably corporate communications professionals are concerned that they have invested a lot of time and energy promoting the individuals, but ultimately lost out of the benefit of the social following. Usually, the real issue at the heart of the debate is metrics. Corporate Communications professionals are measured on the growth in social media following. CMOs want to know – How many Google+ followers did we add this month? How many views of our presentations on SlideShare happened? How many of our pictures were re-pinned on Pinterest? Comms teams are usually measured only on the corporate account statistics and not those of individuals. As a result, the Comms teams prefer to direct everyone to the corporate accounts. So what should you do? You have to use both approaches. In fact, every major media company takes this approach. From ESPN and CNBC to the Wall Street Journal and TechCrunch you will find that both the individual journalists and the corporate brand are promoted in their stories. The same approach is taken at Google, Apple, Microsoft and every other major tech company. Unfortunately, this dual approach complicates metrics and introduces risks, but one of the fundamental rules of social media is that corporations are not in control – the crowd is. ← Who in Marketing Should Own Social Media?